At this split-level, New Orleans-inspired restaurant Downtown, po'boys and shrimp beignets upstairs pair with frozen daiquiris and shuffleboard downstairs. 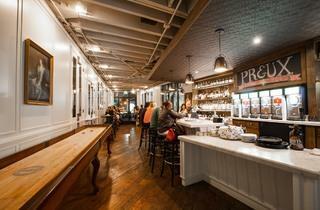 Restaurants with a split personality are often seen as suffering from an identity crisis, but at Preux & Proper, a New Orleans-inspired restaurant and bar Downtown, that split is evident on purpose. 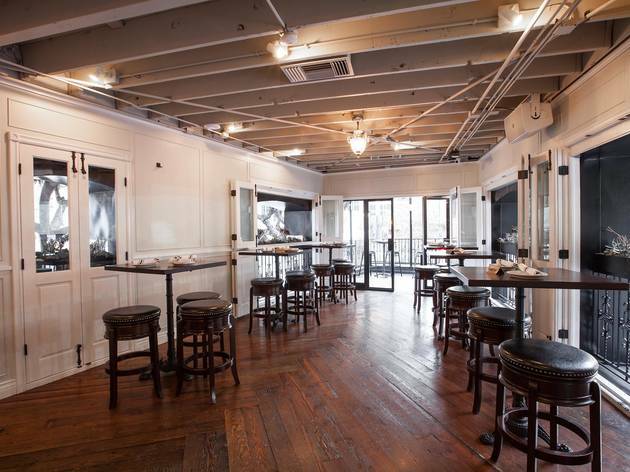 Downtairs, Preux is the lively gentleman, with a bar drenched in beads that slings frozen daiquiris from machines on the wall, while upstairs, Proper is the Southern belle, featuring an oyster bar and white, hand-carved wood walls. 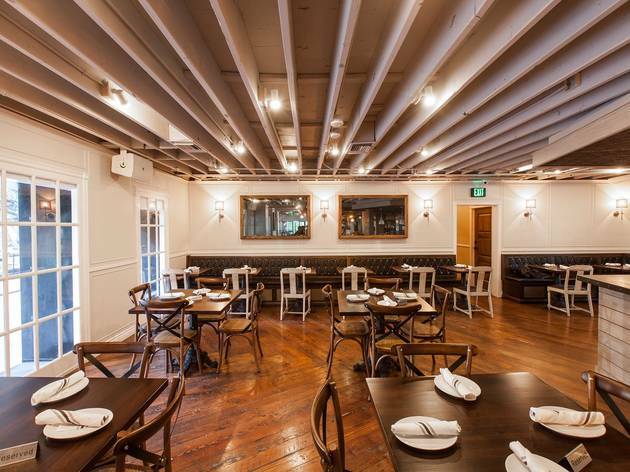 Joshua Kopel and Mark Egland, the team behind NOLA-themed Five0Four in Hollywood, have transformed the multi-level space into a Big Easy playground, but it's not just for Louisiana transplants. 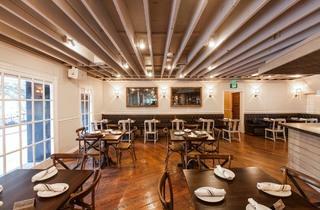 Angelenos can find charm, and good food, in this space, too. 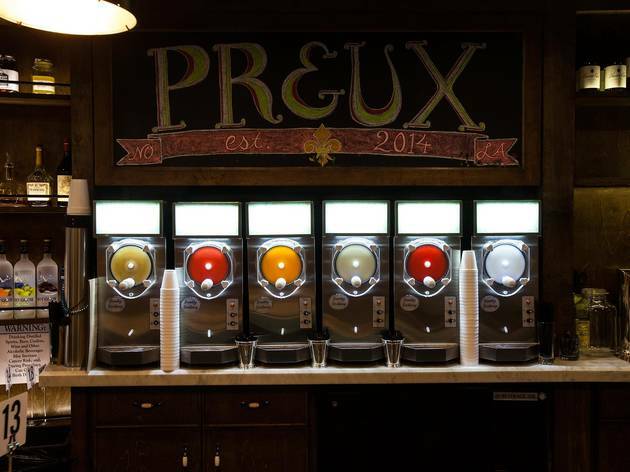 Preux & Proper’s menu is steadfast in its purpose—while the goal is to incorporate Southern California ingredients into traditional New Orleans dishes (think: avocado slices in a lobster po’boy), they really stick to their roots. 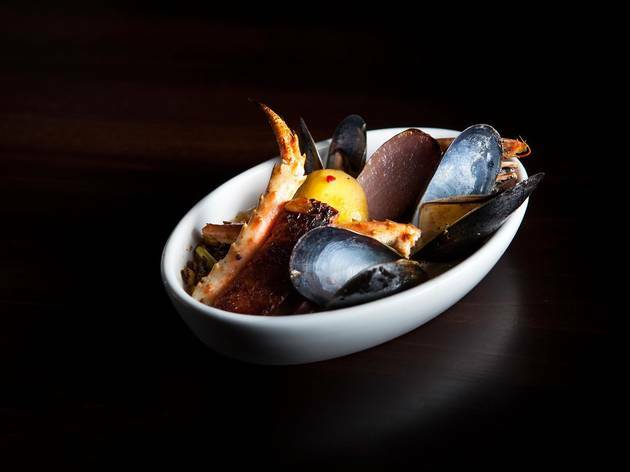 Executive chef Michael Ruiz is making gulf shrimp and crab cakes, crispy frog legs and fried oyster po’boys that aren’t dumbed down with random additions of kale. Instead, there is a plate of shrimp beignets to start with, which ended up being my favorite dish of the night. Plump pieces of shrimp are fried, given a little bit of chili heat and accompanied by a creamy tartar sauce; they come five or six to a plate and you can bet I fought for the last piece. 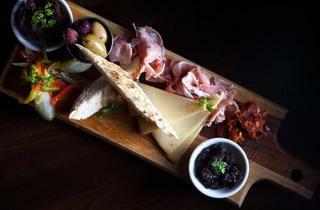 More shareable, perhaps, is the muffaletta board, which deconstructs the Louisiana's traditional muffaletta sandwich and is instead a massive, $16 paddle covered in various cured meats, cheeses, olives, fig jam, pickles (which are phenomenal, and should be ordered as a side as well) and grilled bread. 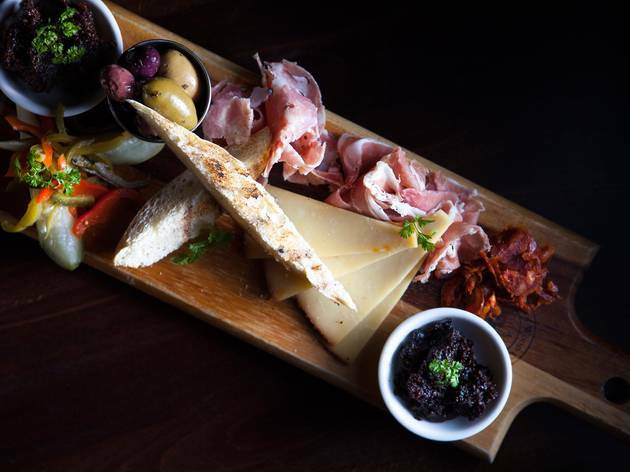 While I wish the bread was a little more conducive to holding the meats and cheeses, the board is an impressive option and perfect for sharing with a larger group. There’s no longer a dearth of quality po’boys in LA; you can find great versions at places like The Little Jewel of New Orleans and Fishing with Dynamite. Here, there are two—a fried oyster and a lobster po’boy, the latter of which I found to be quite good, but needing a little something extra. 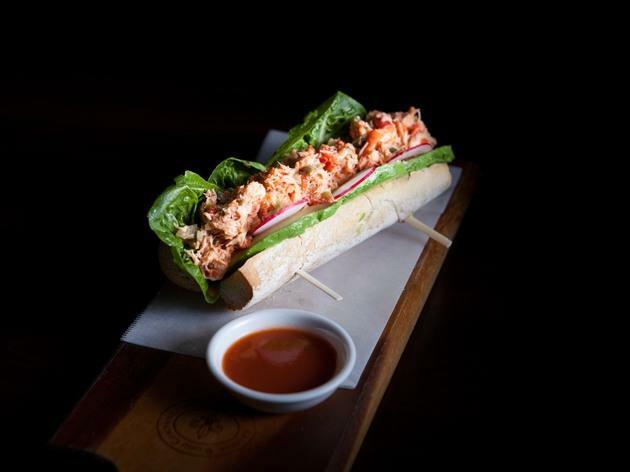 The lobster is fresh and plentiful, but the bread it fills is dry, though adding the hot sauce on the side helps—if only momentarily. Still, I was a much bigger fan of the steam pot, which embodies New Orleans with its bubbling bowl of Andouille sausage, crab, shrimp and potatoes, all simmering in a fragrant saffron court bouillon. Each ingredient works harmoniously together, and when you sop up the extra broth with chunks of bread that rest on top, it’s easy to ignore the other dishes that lay scattered across the table. The kitchen is downstairs, where Ruiz cooks all of the food before sending it up to the dining area via dumbwaiter. This may explain the somewhat spotty service; while all of our dinner plates came out at once, our dessert—an unfortunately dry bread pudding—took nearly 20 minutes after ordering to reach our table. Still: The charm of this space, where you can be transported to the Big Easy upstairs through frog legs dotted with coriander seeds, then meander downstairs to order daiquiris at the bar and play shuffleboard, is hard to ignore. 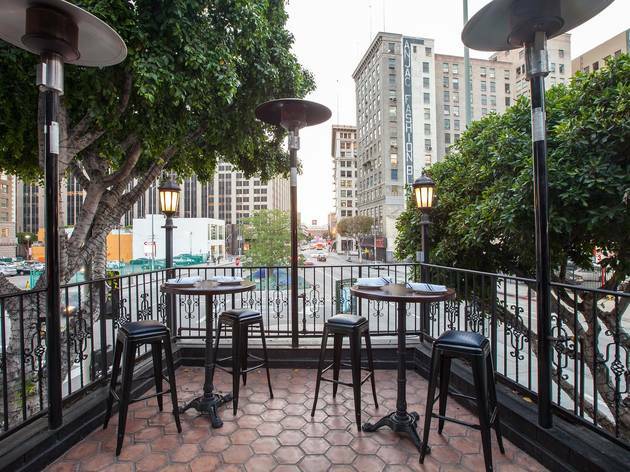 If you're a Who Dat through and through, this is your spot—and if you're an Angeleno, well, here's where you find out if frog legs are for you. 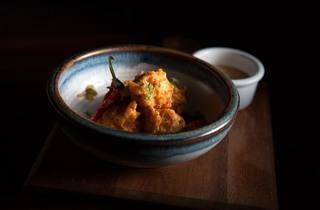 What to Eat: The smoked shrimp beignets ($10). 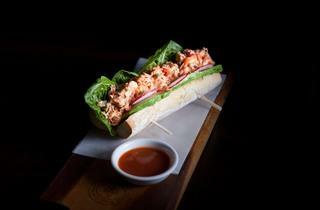 The lobster po'boy ($18). 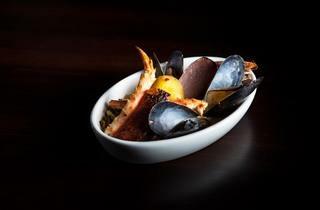 The steam pot ($19). The pickles ($4). What to Drink: Libations slant toward the sweeter side, with ingredients like honey, peach soda and passionfruit syrup appearing in most cocktails. 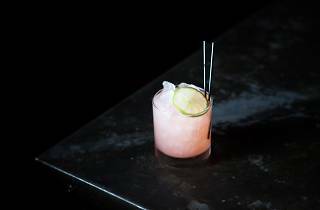 If you have any doubt that you’re in Southern territory, a number of moonshine-based drinks make the list, like the Drunken Watermelon ($12) featuring Stillhouse watermelon moonshine, lime juice and simple syrup. 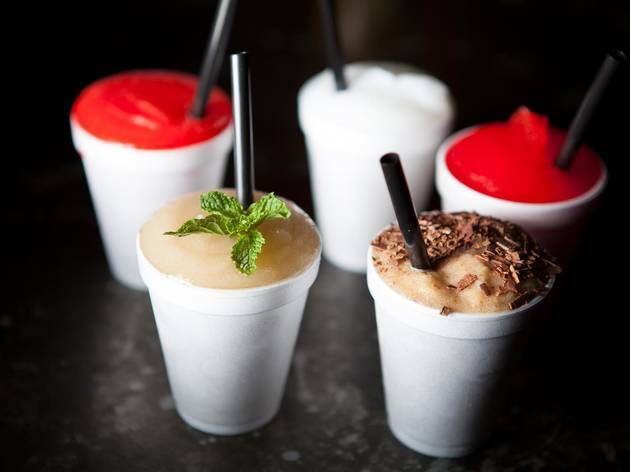 Downstairs, a wall of six frozen daiquiri machines pump out icy slushies, like an Irish coffee ($10) with vodka, coffee and chocolate shavings. Happy hour: 4-6pm, 11pm-2am. Where to Sit: Dining upstairs gives you the option of sitting at larger tables in the back or smaller high tops by the windows. If you’re a small group, pick the high tops—looking down onto the street through trees strung with twinkling lights is worth the smaller table space. 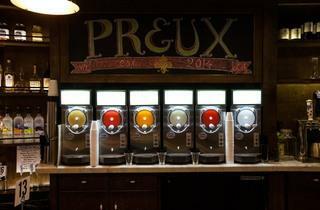 Conversation Piece: The New Orleans tradition of giving diners a lagniappe (essentially: a little something extra, free of charge) is practiced at Preux & Proper by handing out small Styrofoam cups at the end of the meal, encouraging you to fill them up with a frozen daiquiri downstairs. 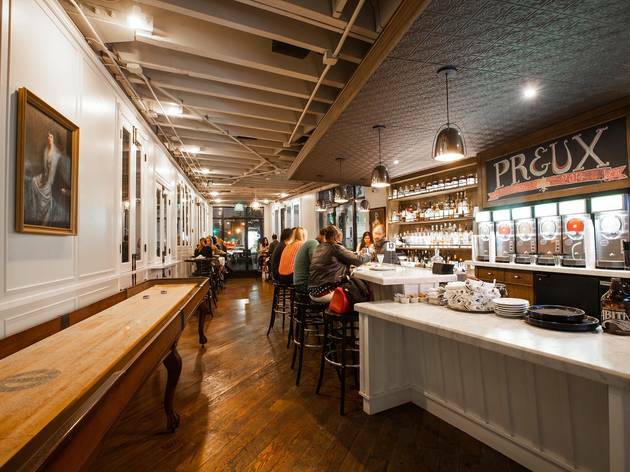 Cute digs and yummy food make Preux and Proper a great destination for a night out with friends or a vibrant spot for a date. Yummy jambalaya, gourmet hush puppy bites, savory mac n cheese--there's something here for everyone looking for a bit of Cajun flavor. Don't miss the beignets bananas foster. The cocktail menu is filled with delectable drinks for every palate; whether you prefer your drinks to the stiffer or sweeter end of the spectrum, you will have many options. Located on the edge of the historic core, on a weeknight, it's easy to find parking on nearby streets. As the weekend ticks closer, expect downtown to be more crowded, and maybe just take public transport instead. Very cool building to start - loved the way it was situated on the street and enjoyed eating on the 2nd floor and looking out on the city. Be prepared for a rich and heavy but delicious meal. You will leave stuffed. I really enjoyed the meal, but it is definitely not a place for an everyday style bite - come hungry and in the mood for some down home cooking. Amongst our favorite things were the chicken friend pork belly, the collards, and especially the crab hushpuppies. 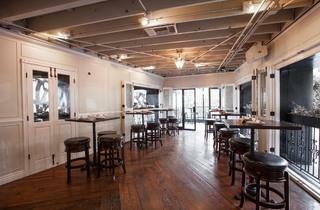 Great place to split a few dishes & drinks with friends before a concert at one of the venues downtown nearby. Their selection is huge. It took my group forever to figure out what we wanted, because we wanted to try everything. I remember really liking their jambalaya, and their cocktail menu is great. Their food is a bit overpriced though - we were satisfied with our meal but I'd want to only stop by for drinks next time. 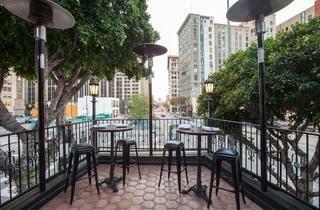 Only been here for drinks but Preux and Proper is a fun place in the more historic DTLA area! A great find as it's located at the corner where the road splits off. It's very easy to find as it has a beautiful outdoor space and a 2nd level! They have a great selection of cocktails and such. I was quite impressed with their selection - you can get anything there. I'm a sucker for a Moscow Mule so this was delicious! I heard they have some good food here too, so I'll have to try some of that next time! This place rocks! Their chef, Sammy, is throwing down some really inspired dishes. My favorites were the beef rib and the street corn. It's worth a visit here for the shrimp beignets alone. The rest of the menu is tasty, and the ambiance is classy without going overboard on the New Orleans theming. 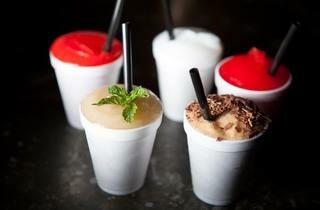 Bonus points for the free frozen daiquiri sample on your way out. I have been here at least 6 times since it opened and not once have I been dissapointed and I have tried almost everything on the menu. The service, food and atmosphere are all on point and I am honestly very picky. Obviously you don't know very much about New Orleans. Not only is the cup a lagniappe, it's a go cup! if you don't know about those, learn. Is the hot sauce Crystal? If not, it's inferior. Finally, a real beignet does NOT include shrimp. This place seems kinda crappy.